In order to get the right answers, you have to ask the right questions. That is why you need to know some technical things about your air conditioner so you can choose the best AC repair company. Taking time in your search is a very good investment. Thus, if your air conditioner breaks, you’ll have the best help from professionals. The company you are going to choose should be licensed and the license is renewed regularly. Make sure that there have not been any complaints or disciplinary actions that have been taken against the company. Research the company’s contractor’s license by Internet. While surfing for a AC repair company, a good idea is to see verification that the company is insured. Company with insurance can carry both general liability insurance to protect your property should something go wrong and also worker’s compensation insurance should one of their employees get hurt on the job at your house. Over the years, cooling systems have become increasingly complex. 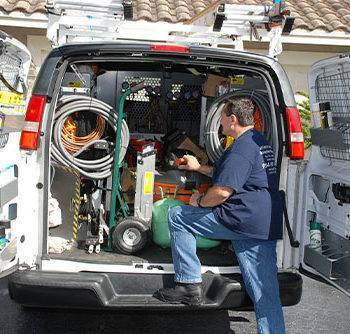 So make sure that AC repair company you are looking at has all the proper certifications and training to work on the latest models. 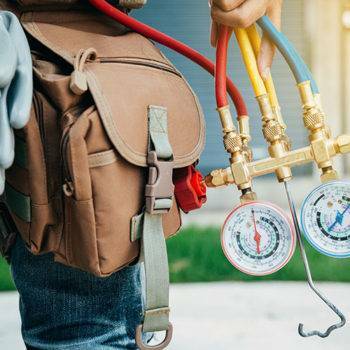 Check it has the HVAC certifications and training from any of the following organizations including- HVAC Excellence , NATE – North American Technician Excellence , RSES – Refrigeration Service Engineer’s Society and UA Star. Check on the company’s references. Good companies have recommendations from their customers and they will be able to provide you with a solid list of referrals so you can verify the quality of work they do. If a company fails to produce many references, continue looking elsewhere. Check with the BBB (Better Business Bureau) to see what complaints they have had against them and whether they resolved them appropriately or not. You also have to rely on your intuition. You should have confidence that the people you are working with will make you feel comfortable. 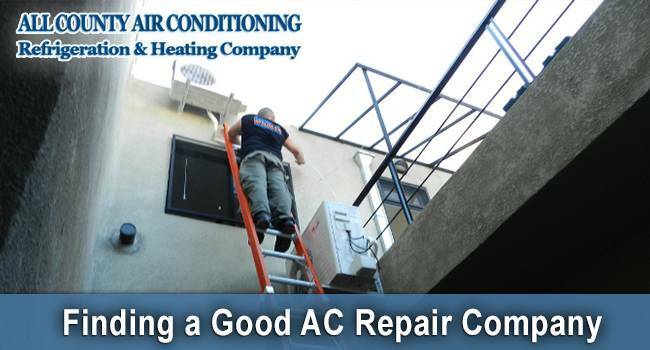 Choose an AC repair company that you feel good about working with for many years to come. It is impossible to make research to find out a company when you have a problem. Your ultimate goal should be establish a good relationship with an AC repair company that you will feel good about for many years to come. 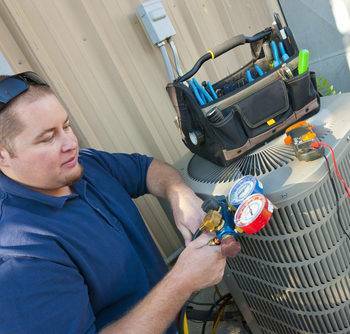 At All County Air Conditioning, Refrigeration & Heating Company we provide excellent customer service. We diagnose any problems you have with your existing system, and if needed install new high-efficiency system(s) in your home. We service and offer all brands of equipment that is best suited for your home and comfort as well as your wallet. Previous Post Air Conditioning Repair Fort Lauderdale Fl Next Post When Should I Replace My Air Conditioning Unit?